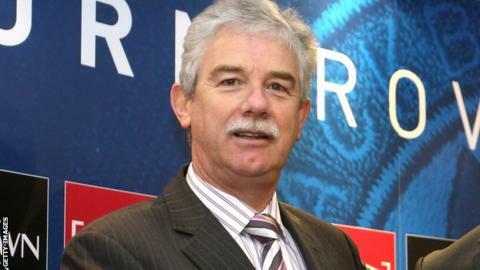 Former Blackburn Rovers chairman John Williams is to be the new chairman of Professional Game Match Officials Limited. PGMOL is the referees' body which officiates across all Premier League, Football League and FA competitions. Williams will support PGMOL general manager Mike Riley. Williams said: "It's incredibly important to continually build the co-operation and communication between players, managers and match officials." Williams was chairman of Blackburn Rovers from 1998 until he resigned in 2011 and joined the football operations team at Manchester City. He will take up his new position at the end of the season, succeeding Peter Heard. He said: "I'm looking forward to building on the excellent work of Peter Heard, Mike Riley and the PGMOL Board, who can be rightly proud of the high standards of officiating in this country. "My involvement will primarily be at a strategic level but I expect to have some tactical engagement with the wider stakeholders groups involved in refereeing." Riley added: "We are excited about John's arrival. He is a hugely respected figure in boardrooms across English football and has an excellent knowledge of both the opportunities and challenges of modern football. "We are certain he will improve the standards of PGMOL further."